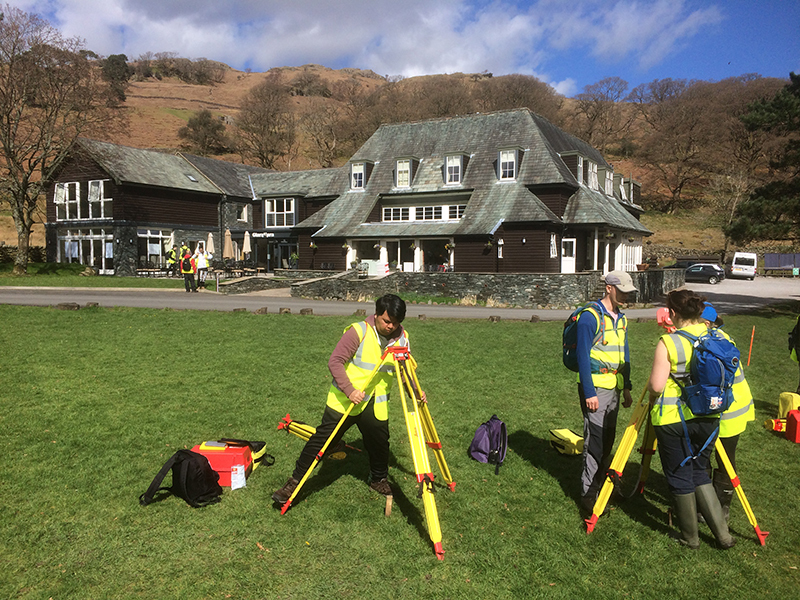 Every year our first year Surveying and Mapping Sciences and GIS students take part in an eight day field trip to the Seathwaite Valley in the heart of the Lake District. In this blog post Tim Hajda tells us about his experience of it last Easter. We arrived at Glaramara House, our hotel which served as a base for the fieldcourse, on Thursday morning after a scenic two-and-a-half hour coach ride from Newcastle. The setting was stunning: a pastoral valley of green fields, dry stone walls and streams, surrounded by craggy fells, waterfalls and oak forests. Our mission was to create a detailed map of the valley, so our first task was to lay the foundations by creating a network of known reference points. Shortly after arriving we donned our high-vis and waterproofs to brush up on the surveying skills we’d be using over the next eight days. The valley is famous for being the wettest inhabited place in England, and it definitely lived up to its reputation. After a soggy afternoon of measuring angles and levelling, we dried off and enjoyed what would be the first of many delicious dinners. On Friday morning we enjoyed a full English breakfast before beginning our next task: establishing the primary control stations (reference points) throughout the valley. We were divided into teams and taken by minibus to our assigned locations. We spent the rest of the day measuring the angles and distances between points. We would be using this data later to compute the coordinates of the stations. The blustery weather was a challenge but we persevered. Saturday’s assignment was to determine the height of points around the valley using spirit levelling. Simple enough…or so we thought. My team quickly realized that those lovely green fields were essentially giant mud pits and the stone walls an endless maze to navigate through, but it was a great feeling when we arrived at our last benchmark. Another job finished and I’ve never been more grateful for a hot shower! On Sunday the GIS students joined us, along with the sunshine – and we went out in teams to create secondary control networks around the valley. Heading out into the field to design a control network. I learned a lot of valuable lessons – good communication was vital, not only among team members but also with other teams to make sure everyone got the measurements they needed. I also learned the importance of checking instrument settings before going out into the field and how important it is to book accurately and clearly with good sketches. There are few things as frustrating as trying to decipher muddled notes after a long day in the field! 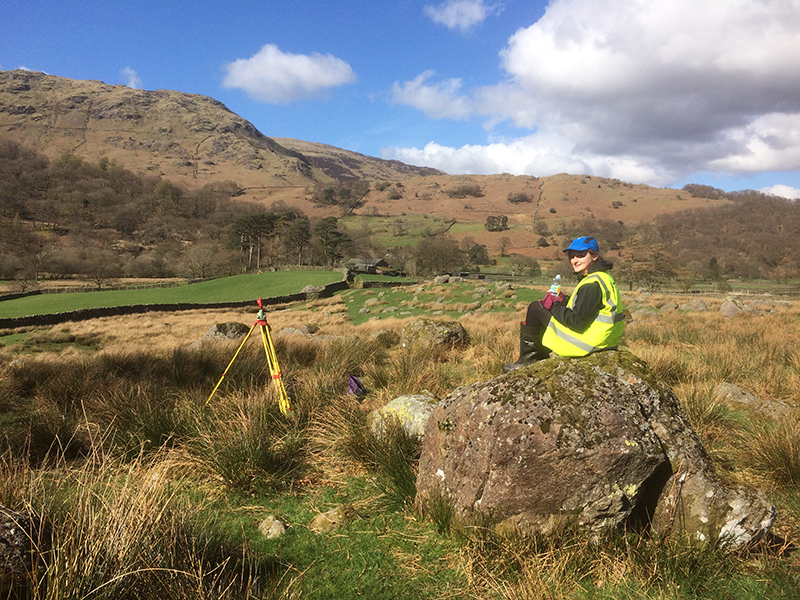 Enjoying a sunny day of surveying in the beautiful Seathwaite Valley. 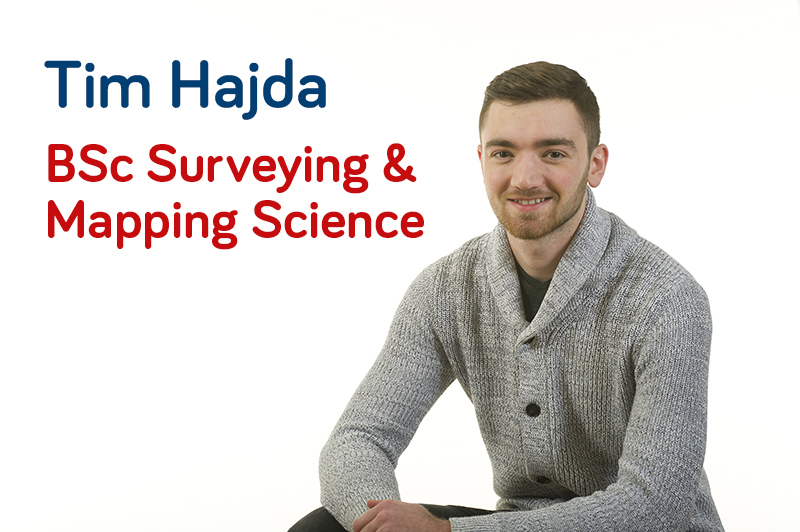 Another part of what made the fieldcourse enjoyable was the support of the staff and the surveying industry. Throughout the trip, the staff were always ready to patiently answer questions, transport us to and from the field and give us helpful tips. One evening, representatives from Leica Geosystems visited to present information about their company and entering the surveying industry. It was a great opportunity to learn more about the jobs we’ll be doing after graduation. 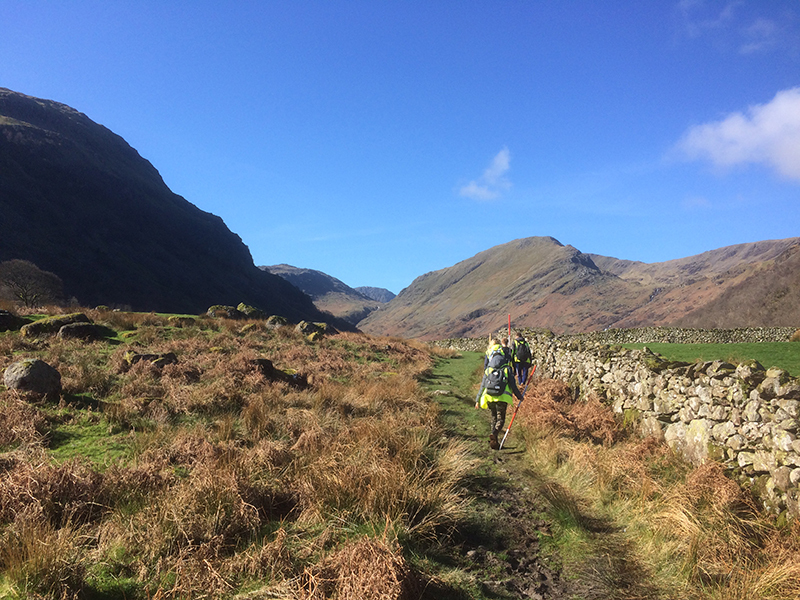 All in all, it was a fantastic week at Glaramara and it shows what makes Newcastle University’s geomatics courses different from other universities’. The hands-on learning approach using top-of-the-line equipment, in a beautiful setting, all with the constant support of a knowledgeable and patient staff, made it a truly fun and rewarding experience.